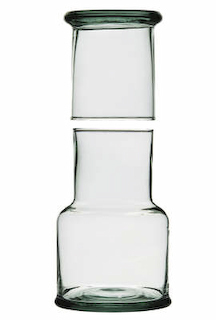 A beautifully simple carafe hand blown in Bolivia by Crisil using recycled glass. 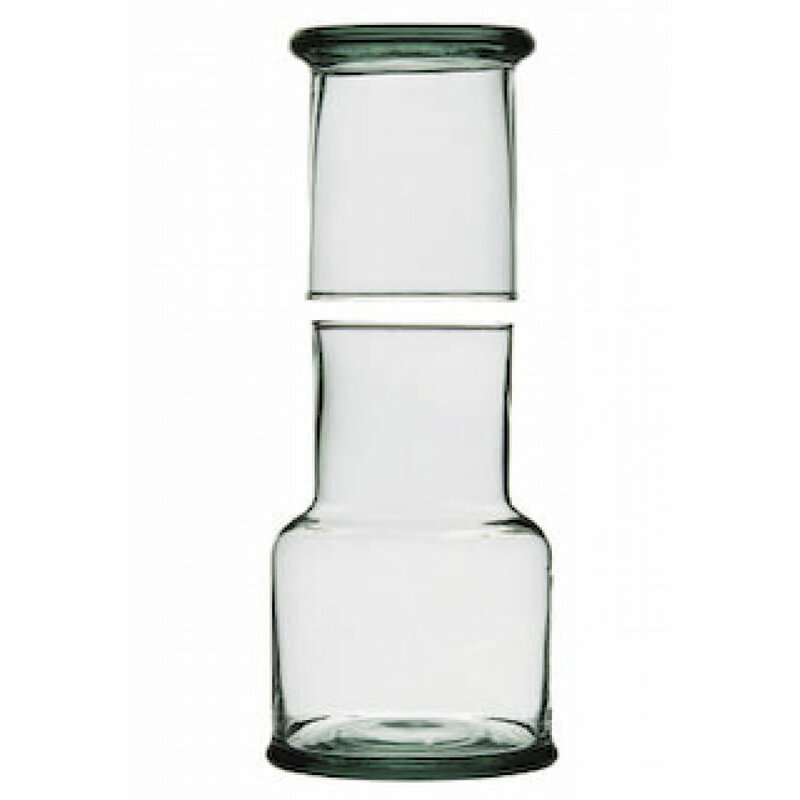 The carafe comes with a matching tumbler which overturns to cover the top of the carafe so that it can be stored away neatly. It measures 16.5cm in height and is completely dishwasher safe. 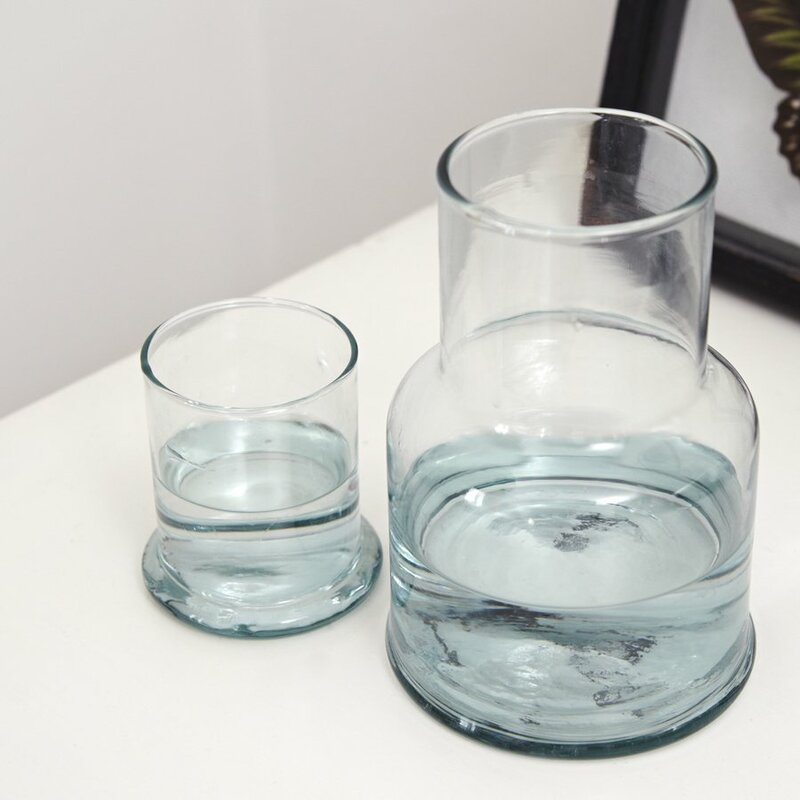 Bought two, one for our bedroom and one for the guests'room.Functional and beautiful. Just right for my bedside. Great design. Not actually used yet. A: Hi Elena, It holds approximately 1 and a half pints. I hope this helps.